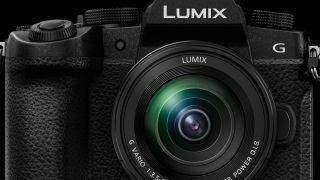 Panasonic's G series has been looking a little unloved recently, with the focus more on the company's compact camera line and full-frame Lumix S1 and S1R models. But now the company has shown it's keeping its promise to continue supporting the G series with the introduction of the G95. Confirming earlier rumors, the camera will be known as the G99 in Japan and the G90 in some countries outside of the US, and G95 in others, and follows the G85/G80 that surfaced in 2016. In place of that camera's 16MP Four Thirds sensor, it packs a 20.3MP alternative, once again without an optical low-pass filter. This works with the company's latest Venus engine to record 4K video to a maximum 30p for an unlimited length of time, in addition to Full HD videos, while V-Log L is also included on the camera as standard – a move that might not please S1R and S1 owners, who have to pay extra for this. As we'd expect, Panasonic's 5-axis Dual I.S. 2 system is on board, combining the power of sensor-based image stabilization with lens-based stabilization. The former is also effective in the absence of the latter, however, with a maximum compensatory effect of five stops. The OLED viewfinder offers the same 2.36 million dots as the G85's, and the same magnification that's equivalent to 0.74x in 35mm terms, while the rear display retains its 1.04 million-dot resolution and 3-inch dimensions, although, interestingly, it's now an OLED screen rather than the G85's LCD. As we expect on pretty much any camera in 2019, Wi-Fi has been carried over from the G85, although the new model follows other recent Lumix releases in also offering Bluetooth connectivity. Other features include an autofocus system that makes use of Depth From Defocus (DFD) technology, together with a 9fps burst shooting option that drops to 6fps when focus is set to work continuously. A 4K Photo mode that captures at 30fps is also on board, while new Sequence Composition and Auto Marking options also make an appearance. While the new camera retains the same DSLR-like form as the G85, the model has been redesigned for "maximum comfort and easy one-handed operation". Resistant to splashes of water and dust, it adopts a slightly more angular design than the G85, with more defined edges and a peaked flash unit. Panasonic has also added the now-familiar exposure compensation, ISO and white balance row of buttons on its top plate, mirroring the design of the recent S1R and GH5S among others. Another change concerns the rotating dial on the camera's back plate, which takes the place of the four-way directional buttons on the G85, while the remaining controls have also been shuffled around. Sadly, a joystick-type focus lever is nowhere to be seen, although you can use the touchscreen to set the AF point. Elsewhere the camera has an SDHC/SDXC card slot that supports UHS-II cards, together with ports for microphones and headphones, the latter of which wasn't included on the G85. Its battery can also be powered through the camera's USB port, although sadly this appears to be the older Micro B format, rather than the USB Type-C port that's become common on such cameras. The company hasn't added to its G-series camera line since the GX9 was announced in February last year, although it did reveal that it was developing the Leica DG Vario-Summilux 10-25mm f/1.7 optic for the system at Photokina in September. This, the company claims, is the world's fastest constant-aperture f/1.7 wide zoom. The G95/G90 will be bundled with the same G Vario 12-60mm f/3.5-5.6 ASPH lens as the model it updates, although it will also be available with a new Lumix G VARIO 14-140 mm f/3.5-5.6 II ASPH. Power O.I.S. lens. Ostensibly a replacement for the Lumix G Vario 14-140mm f/3.5-5.6 ASPH Power O.I.S that was released six years ago, the new lens matches the G95 in offering a dust- and drip-proof build. The Panasonic G90 will be available from June, with an anticipated retail price of £899.99 / $899 / AU$1,499 for the body only, and £1,079.99 / $1,079 / AU$1,799 for a kit with the G Vario 12-60mm f/3.5-5.6 ASPH lens. A further kit with the Lumix G VARIO 14-140mm f/3.5-5.6 II ASPH Power O.I.S should arrive with a £1,259.99 / $1,259 price tag. In Australia, the Lumix G VARIO 14-140mm f/3.5-5.6 II ASPH Power O.I.S lens will be available for AU$899, while a 10x zoom kit with 14-140mm lens (model named DC-G95ZOOM) will have an RRP of $2,199. The additional battery grip – with battery included – has been priced at AU$399 in Australia.